With a GSM GPS tracker, you will need a sim card to enable tracking services to work. You can communicate with the tracker remotely via the phone number associated with the sim card. Some use text messaging to locate the tracker, other devices use data connection. Either way, our SIM cards offer Voice call, text and nationwide 2G 3G & 4G LTE Data. Choosing which plan will work for you will depend on how the GSM device is set-up for activity notifications. NOTE: After SIM activation, it might take upto 24-hrs for the GPRS and data settings to sync and update with your device (phone or Alarm system or smart watch or gps tracking device). Make sure you turned on the power in your device, in a good reception area. 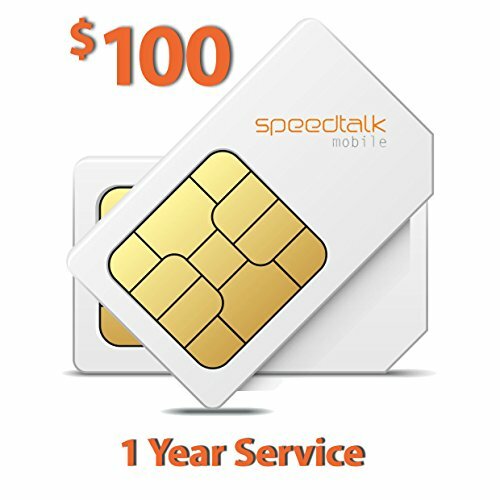 $100 Preloaded 1 Year wireless service at 2¢ VOICE 2¢ TEXT 2¢/MB nationwide 2G 3G & 4G LTE Data. That's 5000 minutes talk or 5000 texts or 5000 MB Data. Our prepaid sim cards are designed for users that need a minimal amount of airtime each month/year.